Our Fall Information session will take place on Thursday, November 7, 2013 in OMSA's Admandla Lounge. 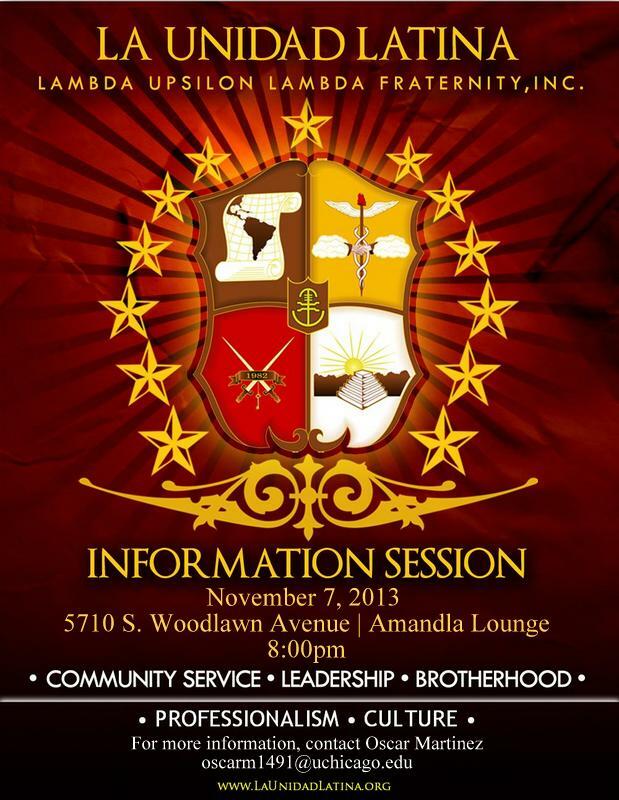 5710 S. Woodlawn Ave. Come meet Hermanos and hear about what sets our organization apart from the others. The informational will begin at 8pm.